Last weekend, the jury selected the Top 30 out of the 100 best teams. 7 of the teams include at least one non-Estonian team member. Ten of the teams are from Tallinn, ten from Tartu, seven from Harjumaa, one from Läänemaa, one from Võrumaa and one from Latvia. The list of the Top 30 teams can be found here. 60 per cent of the team leads are highly educated, out which half own a masters or a doctorate degree. 20 per cent of the team leaders are university students. 80 per cent of the Top 30 teams have at least some kind of experience in entrepreneurship. Marion Raudsepp from Enterprise Estonia, the initiator of Ajujaht told that deciding who to send forward and who not, was a very difficult decision for the jury. “It was a shame to leave so many teams behind, but on the other hand, the level of the internationality of the selected teams is very inspiring,” said Raudsepp. Mart Maasik, the head of SEB Business Innovation said that the most impressing part of the Top 100 pitch was, that around half of the teams had already a real-life prototype to show. “There’s a difference, whether you talk about a world changing idea on an abstract level or you have some kind of results to show already. Bringing out prototypes proves the teams’ capability to realize their ideas as well as is the best method to gather valuable feedback from the customers already in an early phase. I believe our jury made a very diverse and an exciting selection among the 100 best teams. There were ideas with a big ambition and risk like HackMotion, as well as more traditional and mature ideas like Topsiring,” said Maasik. Mailiis Ploomann, the lead of Elisa’s product development department said that a lot of the Top 30 teams carried the same values in their work we have here in Elisa. “Teams understood their client and wanted to find the best solution. All the teams in the Top 30 were passionate about their idea. The teamwork seemed to be working and the teams were aware of the skills and competencies they were missing to move forward. The teams were eager to point out their biggest lessons of the process so far and were enthusiastic and open minded about the upcoming programme and the competition,” brought Mailiis Ploomann out. The Top 7 teams of Ajujaht’s 10th season will be announced in April 2017 in the first show on the television. The first episode is scheduled for April 6th, 2017. The initiator of Ajujaht is Enterprise Estonia, its partner SEB Bank and sponsor Elisa. 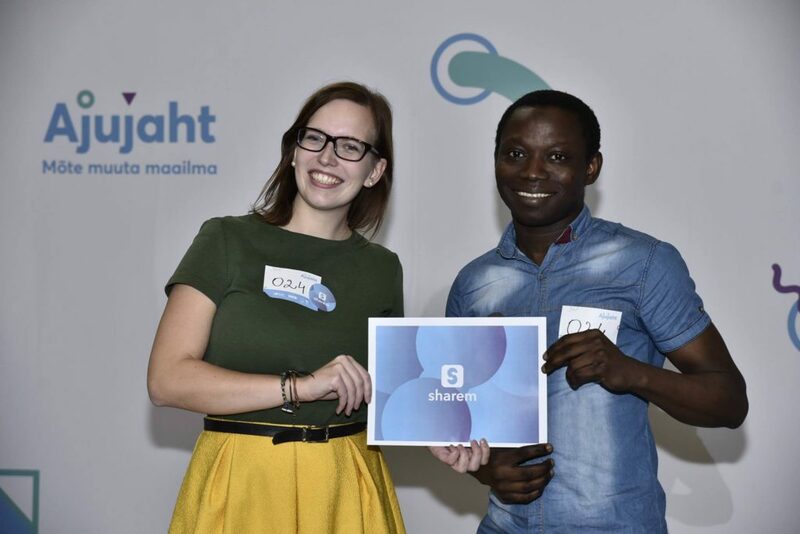 In addition to the mentioned, the supporters of Ajujaht include Delfi, Estonian National Broadcast (ERR), Nasdaq, Tehnopol, the City of Pärnu, the City of Tartu, the City of Tallinn, Võru County, The Parish of Viimsi, National Foundation of Civil Society, Ülemiste City, Tartu Centre for Creative Industries, and Levira. Ajujaht is funded from the European Regional Development Fund.